Ranging from studying the Bible with a devout transsexual Quaker prostitute, to a probing analysis of Richard Nixon’s religion, these twelve essays show the sweep of writer-reporter Chuck Fager’s interests and observations. 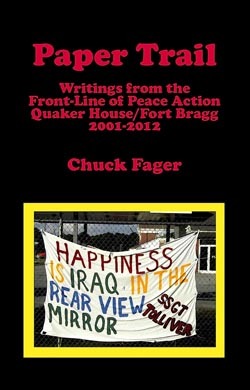 By turns informative, scholarly, intensely personal, funny, provocative and even shocking, all these pieces show Chuck Fager’s deep concern for the welfare and faithfulness of the Religious Society of Friends. Here you’ll find a series of remarkable discoveries about the Quaker past, vivid sketches of some of the more striking Friends of our time, and challenging hunches about the shape of its future. 152 pages, quality paperback. $14.95. 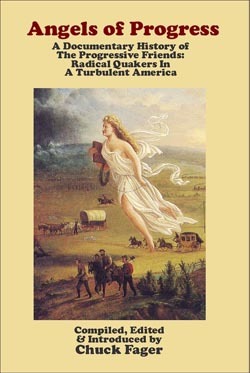 Who and what shaped modern American liberal Quakerism? What kind of theology does it have, and where did it come from? These questions have yet to be probed by historians, and have been all-but ignored by the Quaker bodies that are its heirs. This book opens the way toward their understanding. These eight essays present lively reports on pioneering research which points, as the title of one notes, “Beyond the Age of Amnesia” among liberal Friends. 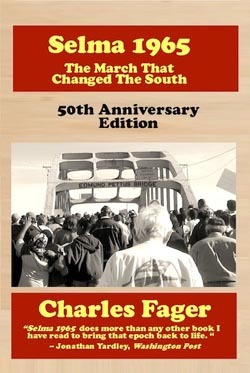 With wit as well as scholarship, Chuck Fager blazes new paths toward a better understanding of the past of this vital religious movement, and a more informed and intentional shaping of its promising future. 124 pages, quality paperback. $11.95. In one chapter, “Speaking Peace, Living Peace,” excerpts from the minutes of Baltimore Yearly Meeting 1861-1865 describe the agony of change brought to this body of Friends by living through the U.S. Civil War, much of which was fought in its territory. Another, “The Quaker Peace Testimony Reconsidered,” takes a close look at the text and context of the famed 1660 Peace Declaration to Charles II, and find in it much more ambiguity and depth than is normally noted. Another shows how the internal forces of American militarism are moving inexorably toward a resumption of some for of military conscription. 74 pages, quality paperback. $7.95. Douglas Gwyn is known for his combination of scholarly research, challenging thought and lucid writing . His books Apocalypse of the Word and The Covenant Crucified are landmarks of Quaker writing in our time. Besides his distinguished scholarship, Doug Gwyn has traveled and ministered among both pastoral and unprogrammed Friends for over twenty years. In this new collection of essays and addresses (1989-97), he speaks eloquently to current tensions and impasses among Friends, drawing upon traditional Quaker images of “seed” and “covenant.” He urges Friends to go deeper into our spiritual tradition to find renewal and the way forward, and shows how that can be done. Paperback, 165 pages. 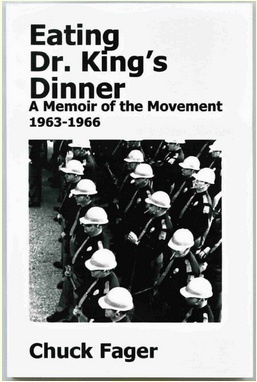 After publication, $8.95. “Without Apology is an important addition to any Quaker library, I know of nothing quite like it anywhere in the Quaker corpus. It will repay many times over the provocation its compelling prose offers.” –Larry Ingle, author of First Among Friends. Paperback, 190 pages. $8.95. By Chuck Fager. 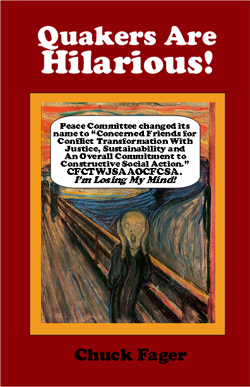 In the U.S., Quaker service, especially the American Friends Service Committee, has caused controversy both within and outside the Society of Friends. In Quaker Service At The Crossroads, sixteen distinguished writers examine the issues and criticisms involved. A fascinating, searching look at a key Quaker institution. Edited by Chuck Fager. Paperback, 216 pages, $5.00. First developed for use with intensive workshops at Friends General Conference, A Respondent Spark brings a uniquely Quaker perspective to the task of equipping new (or returning) Bible students with the tools needed for self-directed Bible study. Reverent, non-dogmatic, highly informative. By Chuck Fager. 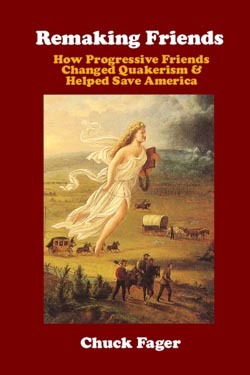 Revised Edition, large-size paperback, 100 pages $10.95. In the Bible, Wisdom is more than an idea–she is also a Person, a feminine expression of the Divine. Wisdom strongly shaped the life and teachings of Jesus. In this book Chuck Fager considers these aspects of Wisdom, and also contends that Quakerism is largely a Wisdom faith. He shows how Wisdom’s influence, though little-noted, pervades Quaker thought and practice, including our Testimonies and the distinctive brand of Quaker humor. Laugh your way through Quakers Are Funny, the first NEW book of Quaker humor in years. Full of Friendly jokes, quips, anecdotes, cartoons, puns and poetry. More Friendly smiles, chuckles, giggles and all-out belly laughs than any other book around. 100 pages, paperback. $7.95.